Happy Saturday! It is a cloud, cool, windy day here in Arizona and I am loving it! 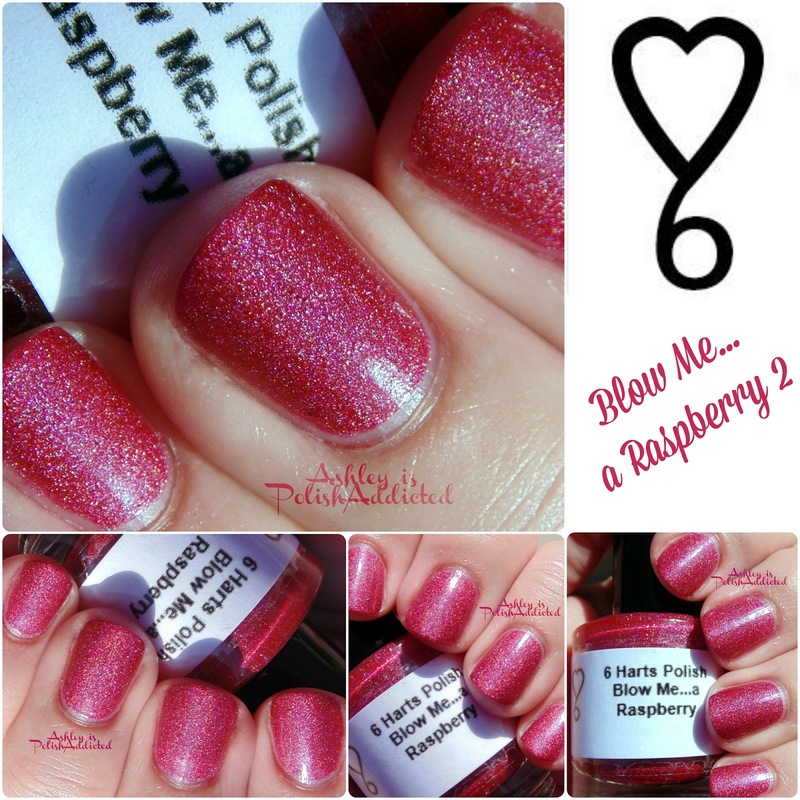 I have a beautiful LE from 6 Harts Polish to show you today - Blow Me... A Raspberry 2. Hello again! 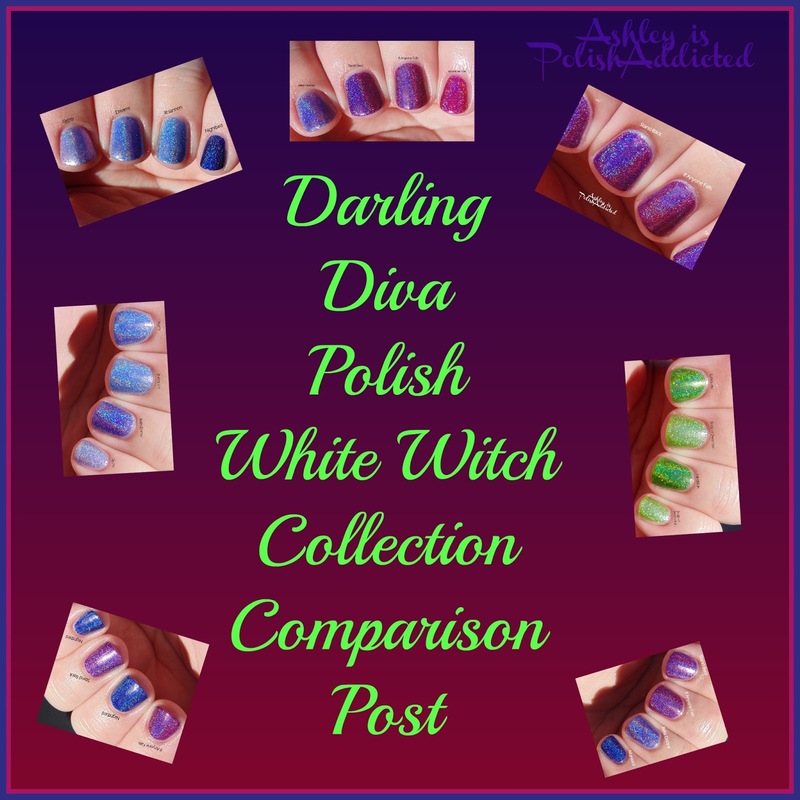 I am back with the last Darling Diva Polish White Witch Collection post (except for the comparison post I will have for you soon). Tonight I have If Anyone Falls, Stand Back and Bella Donna for you! 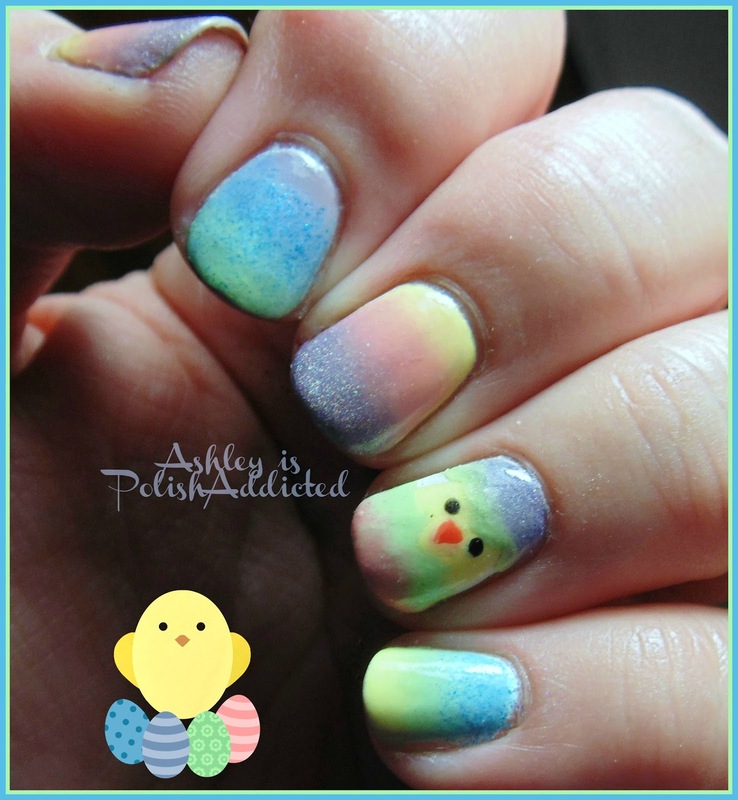 Happy (late) Easter with an Elevation Pastel Gradient - and a Chick! Good morning and Happy Spring, my lovelies! I did a fun Spring/Easter manicure yesterday but I was too busy to show you until now. I've been wanting to do a pastel gradient for a while so I finally just took the time to do it! I used all Elevation Polish polishes for this nail art (except the black and white). I will list all the polishes below. I put a plain white creme base down and let that dry completely before doing the gradients. On my ring finger I used the chevron Sticky Nails to help create the cracked shell above and below the baby chick but since I used a light color you can't see that detail very well. Live and learn! Next time I will use a darker color. I'm excited for both of these collections, but especially Tickly. ;) If you've been following me long you know I love my cremes! 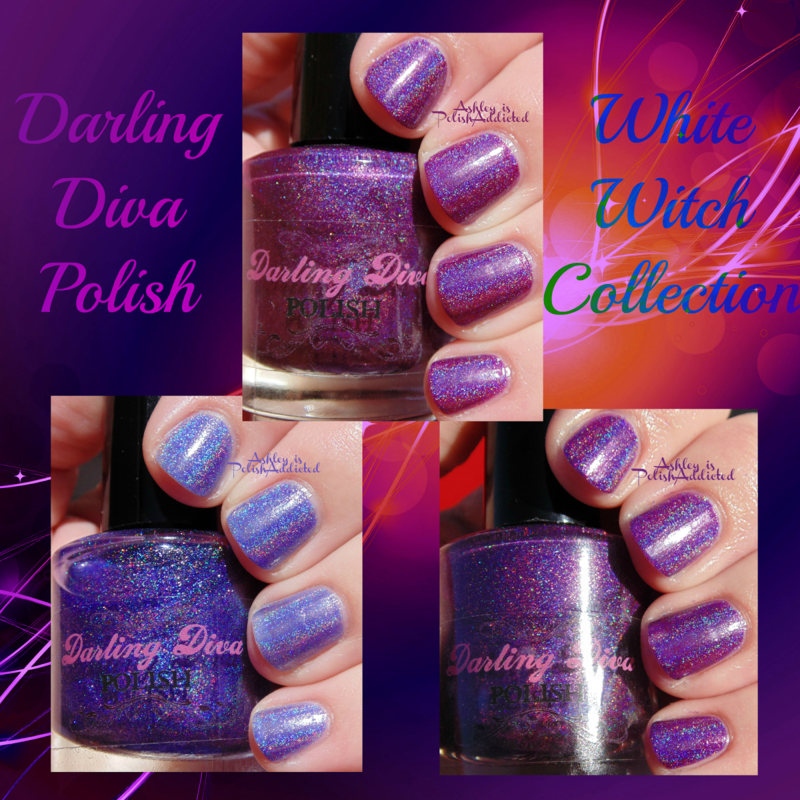 And Bubbly is the sparkle for the summer collection! These look to be holographic glitter in jelly bases - I can't wait to get them and show you! I'm most excited for Wendy, Rocha, Jesy and Binx... at least for now! What about you? 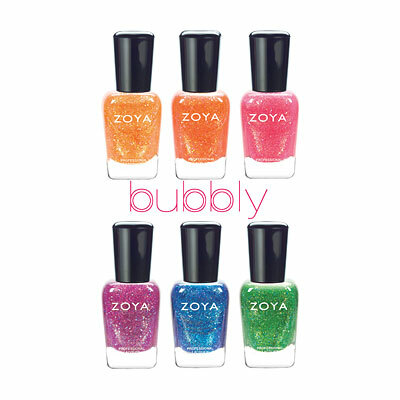 The Zoya Tickled and Bubbly collections both consist of 6 new Big 5-Free shades that retail for $9 each. 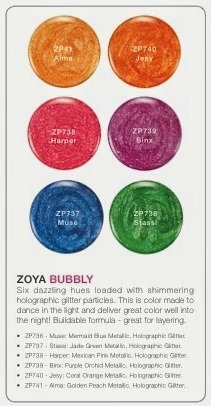 You can purchase through the Zoya's site. Also make sure to follow them at the social media links below! Thanks for reading and happy polishing! ♥ . 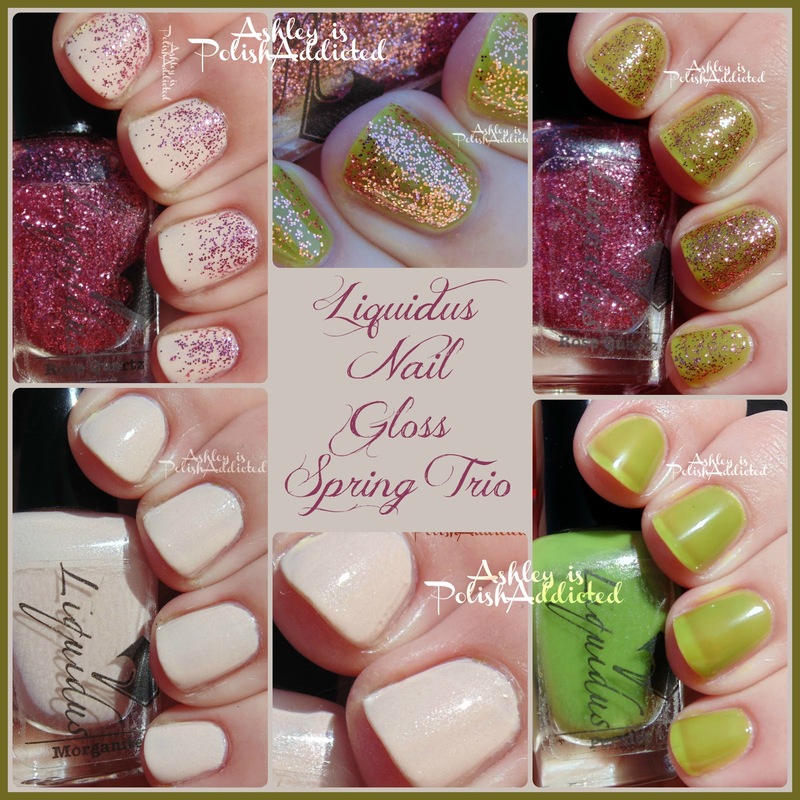 Liquidus Nail Gloss Spring Trio - Swatches and Review (and Wear Test)! Good evening! I have a new collection for Spring from Liquidus Nail Gloss to show you tonight! I really love Liquidus Nail Gloss. The polishes are inspired by rocks, minerals and gemstones and since I used to collect rocks they still hold a special place in my heart. There is no beauty that is equal to nature. The polishes reflect that and come in a wide variety of shades and finishes (and all packaging is recycled and biodegradable!). So let's see what's in store for Spring 2014! Good morning! First, my apologies for the lack of posting lately. I miss you guys, it's just been hard to squeeze in blog posts lately! 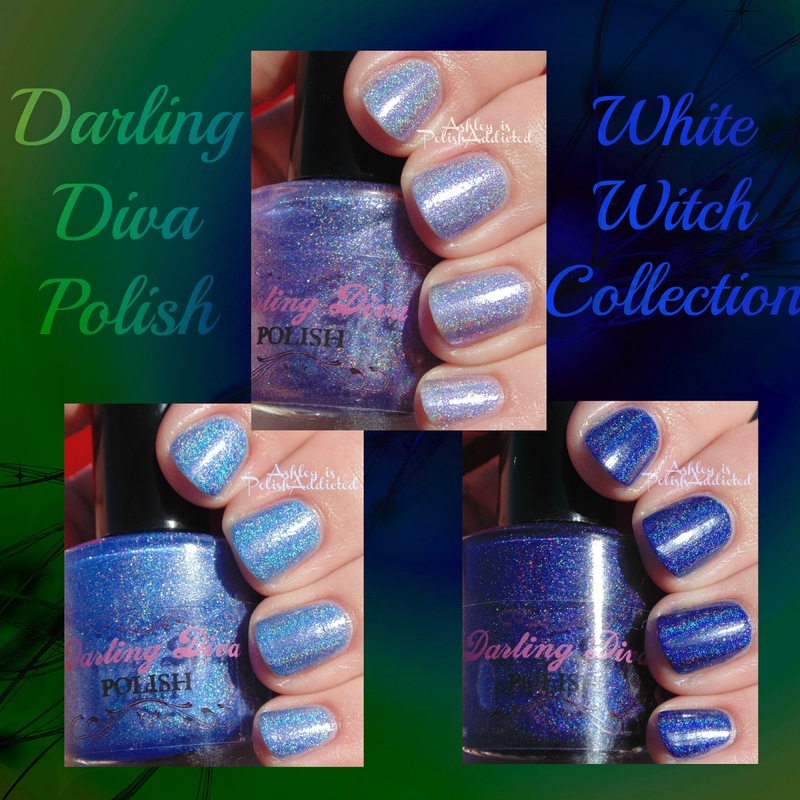 Second, I have more White Witch polishes from Darling Diva to show you tonight! I really can't get enough of these polishes. I have worn several of them multiple times. Today I have Gypsy, Rhiannon and Nightbird for you!